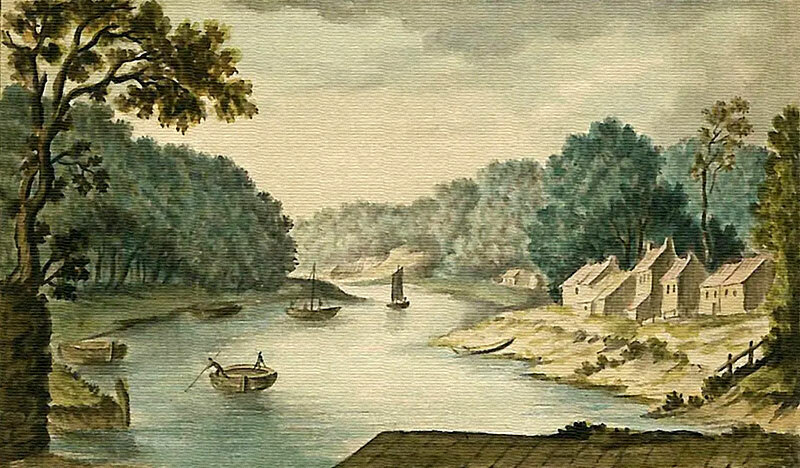 View from Washington Staiths - Postcard showing a Painting by William Beilby, c1770s. 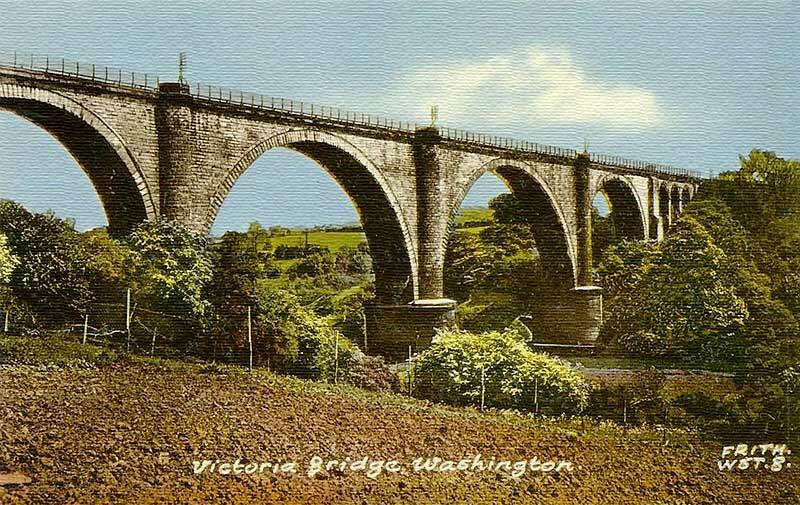 The wonderful Victoria Bridge which once carried the main railway line from London to Edinburgh. 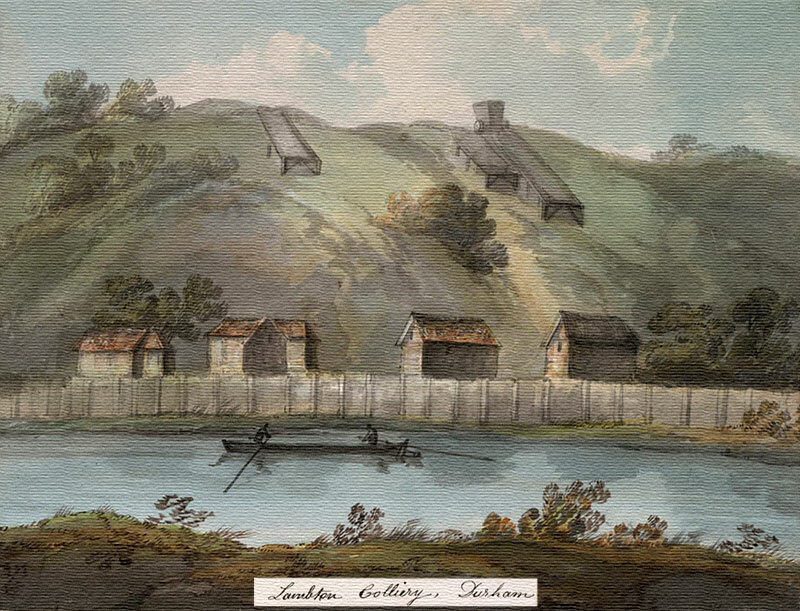 Obviously not Lambton Colliery but, with artistic licence / imagination, the grey high ground could be Pit Heaps. 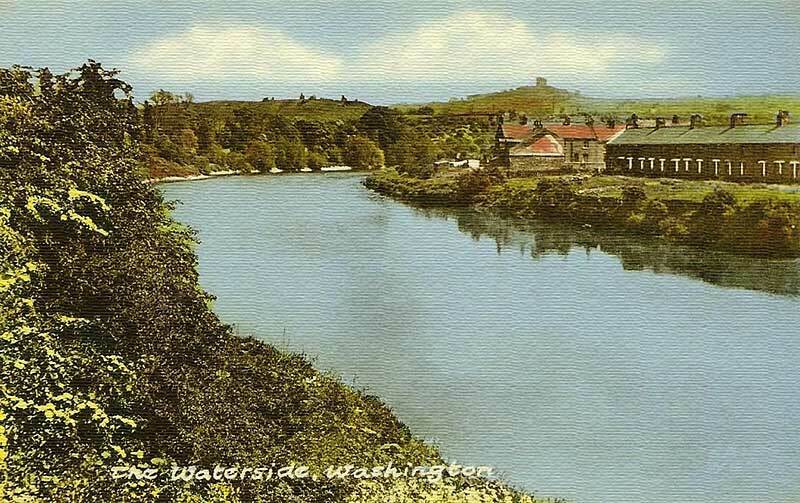 Downstream from Fatfield Bridge, looking past Bridge Street East towards Penshaw Monument and Coxgreen.